With so many tyre-selling websites around, it is difficult to find the best place to buy your tyres. Figuring out where you can get your hands on high-quality tyres for the cheapest price becomes complicated, with so many tyre companies claiming to offer the lowest prices. At Asda Tyres, we regularly check our prices to ensure we’re offering the biggest savings possible to our customers. We also offer our customers local fitting included in the price, thanks to our partnership with a network of fitters up and down the UK. But you don’t just have to take our word for it anymore. Motokiki.com, a tyre seller comparison website, allows you to search for the best deals on the tyres of your choice. Comparing prices across many tyre-selling websites, Motokiki allows you to easily find which sellers offer the lowest prices on tyres and Asda Tyres are now a part of it. Motokiki aims to offer motorists free, impartial advice on where you can buy tyres and receive a fast and friendly tyre fitting service, using their online tool, and Asda Tyres are happy to be working with them. We are committed to providing our customers with low prices on tyres and local fitting, even on premium brands including Bridgestone, Dunlop, Goodyear and Continental. This is why working with Motokiki is the perfect fit. Since tyres are so critical to any vehicle, it is important that you have the right tyres for your car and driving style. There are several things to consider when choosing a tyre, including its wet performance, noise efficiency, speed rating and more. It is useful to compare the prices of different tyres against how efficient they are so that you can see how cheaper isn’t always better. Higher ratings for fuel efficiency and performance might make the tyre more expensive, but if it performs better in the long run, it is more economical. Better-performing tyres will save you money on fuel bills and won’t need replacing as often. Also, with people running such busy schedules, getting new tyres fitted can seem like a chore, which is why there is more that goes into choosing your tyres than just the tyres themselves. Thanks to the range of local tyre fitters at Asda Tyres, you can decide how you would like your tyres fitted, where, and at a date and time that suits you. We hope that working with Motokiki will allow us to help more motorists make big savings on their tyres. 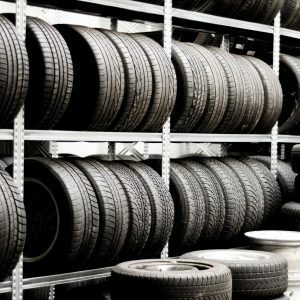 If you are unsure about what tyres you need for your vehicle, the team at Asda Tyres are happy to help, and there is plenty of information and advice about tyres on the Asda Tyres blog.